Yes, Michigan’s schools are failing. But don’t blame it on parents. 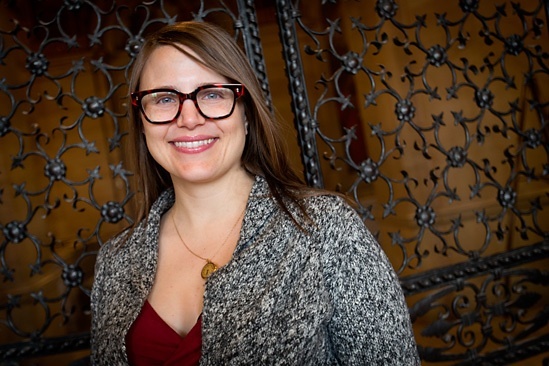 Sarah Winchell Lenhoff is an assistant professor of educational leadership and policy studies at Wayne State University. A Michigan Board of Education leader recently dismissed the concerns of educators, philanthropists, politicians, business leaders, and many others that Michigan’s K-12 education system is failing our students and putting our state’s future at risk. This denial came coupled with a call for parents to be more actively involved in their children’s education, as if parents in Michigan were any less dedicated than parents in other states. It should be enough to convince anyone in Michigan that there’s a crisis to know that fewer than 10 percent of children in Detroit can read proficiently by 4th grade. It should be enough to know that just 14 percent of Michigan’s low-income 8th graders are proficient in math. But if those numbers don’t speak to the concerns of many of our elected officials, there’s the fact that just 34 percent of Michigan’s white 8th graders and 41 percent of its higher-income 8th graders are proficient in math. In addition to our objectively low performance on national assessments, every analysis has shown that Michigan students are not keeping up with their peers across the country. While Michigan’s average scores have stagnated or even declined, other states are performing significantly better than they were 10 years ago. In 2003, Michigan ranked 28th in 4th-grade reading. Today, we rank 41st. What is the motivation for denying the gravity of these facts? It stems from an enduring hypocrisy in Michigan’s educational politics. By using language of empowerment to give parents choice about where to send their children to school, policymakers saddle the responsibility for school success on parents, as well. If a school closes due to low test scores or low enrollment, both of which are predictable outcomes in a school choice marketplace, families bear the brunt of the blame and the burden of figuring out how to salvage their children’s education. Parent involvement in their children’s education is important for student success. Children whose parents are involved in their learning perform better on tests and in class, behave better in school and at home, and are more likely to graduate high school and transition well to college. But the kind of parent involvement that gets the best results requires schools to proactively partner with families by welcoming them into school, teaching them about curriculum and school policies, asking for their input on all manner of issues, and supporting their children’s needs, no matter how challenging. Michigan policymakers have created a school system that often gets in the way of strong school-family partnerships. Here are some ways that could change. 1. Ensure that school choice supports greater integration, rather than segregation. Research we have performed at Wayne State University has begun to show that Michigan’s open-enrollment policy has contributed to a resegregation of suburban schools. Unlike other states, Michigan allows students to leave their home districts even when it contributes to further segregating their entering or exiting district. While more research is needed, there are reasons to believe that this may have a negative effect on both parent involvement and student achievement, since families are traveling further to schools that lack the diversity that has been shown to benefit all students. Michigan can amend the law to ensure that open enrollment serves both the goal of school choice and the goal of integration. In addition, lawmakers should support proposed legislation that would allow charter schools to reserve spots for low-income students in the school community. 2. Increase base school funding and create a rational model for funding districts with declining enrollment. In this year’s budget, Michigan lawmakers made a good step forward when they increased per pupil funding for all students and provided additional support for at-risk students and English language learners. But there are still serious problems with our school finance system. Michigan school districts – charter and traditional public – suffer from a funding model that punishes them for enrollment declines before fixed costs can be reduced. This means that the quality of education they can offer decreases at times when they are most desperate to compete for students. Think of it this way: If a district loses just 10 students, its funding is cut by $70,000 or more. Strong family-school partnerships are enriched through home visits, community health services, transportation support and other programs that are likely on the chopping block as district funding dwindles. It doesn’t have to be this way. Some states provide "declining enrollment relief” by letting shrinking districts use a three-year rolling average for state aid purposes. Michigan currently uses a two-year weighted average, with only 10% determined by the previous year’s enrollment. We can make this change, while investing more across the board. Earlier this year, the State of Michigan threatened to close nearly 40 schools across the state for low performance. Many of those schools are in cities and neighborhoods that have already experienced multiple rounds of school closure and where the residents are more likely to have experienced trauma or be suffering from toxic stress. At Wayne State, my colleagues and I are studying whether these closure announcements may be related to negative outcomes in mental health and attitudes about school. We already know that school closures force families to travel farther to schools, disrupt existing bonds in school communities, and may not result in improved student achievement. The state made agreements to save most of these schools for now, but the threat of closure still exists and prevents districts from investing in the long-term partnerships with families and communities that are essential to school improvement. State leaders should take responsibility for their roles in creating a system where these schools were likely to fail, and they should now work closely with school and district leadership to invest in personnel, curriculum, facilities, and parent supports to ensure they succeed. These ideas are not new, and they represent just a few of the many worthy proposals Michigan policymakers should consider if they want to stop debating whether we have an education crisis, and instead get to work solving it. The author makes many good points, except in regard to school financing. The typical school in our state receives around a quarter of a million dollars per classroom. This should be sufficient to provide any needs for the education of the children. The biggest problem is that over a third of the school’s salary costs goes into the pension system, rather than the classroom. Since teachers can retire after around age 55, with over 20 years on the pension payroll the cost is overwhelming. We need to reform not only the pension system, but the age at which teachers can retire. There is no good reason why they could not retire at age 65 or 70, like everyone else. Being that I have 3 aunts all teachers 2 of which retired 1 that died I have to say I still happen to agree. 10 year difference is huge. I actually didn't know that embarrassingly enough. But it makes sense. My aunties retired before 65 I know that for sure. Yet I didn't know about pensions and what not. That said you can change it, but it would do nothing to help short term. Are you saying the kids now should be less taken care of then kids potentially in the future? I say that we adopt what you suggest, but also sign a temporary stimulus package for our schools. Especially elementary and middle as that has the greatest effect to high school performance. The pension system has, and continues to be, overhauled. Mr. Brown says, "The biggest problem is that over a third of the school’s salary costs goes into the pension system, rather than the classroom." I can't put my finger on the number at the moment, but a large portion of that pension cost is due to the failure of the state to make the appropriate contributions to the pension fund when they were due. Of course, that doesn't change our present situation, but the problem will be gradually resolved as new teacher hires are put into a defined contribution plan rather than a defined benefit plan such as they now have. And being in a defined contribution plan will render how long a teacher works irrelevant. If a teacher finds that their pension at the 20 year mark to be adequate, they are free to retire. It won't impact the state's pension costs because the state is just contributing a fixed amount. In the meantime, the taxpayers will have to compensate for their earlier failure to make timely, adequate contributions to the teachers' pension fund. The retirement age is now 60. A repackaged article from an earlier series of articles telling us about how more money will solve the education woes (w/o parents apparently needing to lift a finger). I would also STRONGLY disagree with Ms. Lenhoff's third bullet point above regarding failing schools. And the best analogy that I can use is when I went shopping recently. The Sears store that I used to frequent is largely a shell of it former self, aside from being closed. The same can be said for a local KMart. I actually wasn't surprised at their closings. The stores were staffed with employees who didn't know what they carried, exactly where items were located at or even if they had any in stock. And this is all on top of employees generally being difficult to flag down for assistance. Generally speaking, those businesses treated me as if I were an interruption in their day, rather than the reason why I was there to begin with. The same can be said for these failing schools. When schools are more concerned with being perceived as politically correct, rather than with the safety and education of the students of the students who are there to learn (specifically Ms. Lenhoff's first bullet point). it should come as no surprise to anyone why those schools are failing and parents cannot pull their children out fast enough. The social scientists are using schools as petri dishes for their latest fad and because of this, schools have strayed from their core functions, exactly as those failed businesses I've mentioned above had done. If you want schools to be successful, then it should be important to focus on the core reason why we have schools in the first place; to teach. Those who do not want to conform to the rules and don't want to learn should be removed so that those who want to can. If that isn't immediately feasible, then at the very least, they should be separated from the rest of the student body so that they will no longer be a disruptive influence. Or, you can continue doing the same thing that you've been doing all along and hope for a different result. Who decides to put kids into "more segregated schools" if not the parents? Who else to blame? Ms. Lenhoff says, "While Michigan’s average scores have stagnated or even declined, other states are performing significantly better than they were 10 years ago. In 2003, Michigan ranked 28th in 4th-grade reading. Today, we rank 41st." Does she have any insight into the reasons for this stagnation and decline? What changed? This wasn't noise, a statistical blip. This was a significant event. Surely, with all the educational data available, she can offer some illumination. She says, " This denial came coupled with a call for parents to be more actively involved in their children’s education, as if parents in Michigan were any less dedicated than parents in other states." Does she have any evidence that Michigan parents place the same value on education as parents in other states? Cultures differ remarkably in the value they place on education. And just why would giving parents the ability to choose"where to send their children to school" make them responsible for a school's success or failure? Isn't it the quality of the school that makes parents accept or reject it? If a supermarket is dirty, poorly stocked and badly lit, is it the customers who are responsible for its closing? Why should "families bear the brunt of the blame" for a school closing? "Research we have performed at Wayne State University has begun to show that Michigan’s open-enrollment policy has contributed to a resegregation of suburban schools." No doubt she is referring to racial segregation, but there is also economic and social segregation, all of which overlap to a considerable degree. And, as she points out, there is some value to diversity in all three dimensions. Charles Murray, in his book "Coming Apart" delineated how social and economic segregation among whites since 1960 has had negative consequences for white culture. The center of balance of values has shifted for the worse. But if a family is unhappy with the situation in a school, are they obligated to remain there out of a sense of civic responsibility if it entails a substantial risk to the success of their children? She has a good point when she says, "Michigan school districts – charter and traditional public – suffer from a funding model that punishes them for enrollment declines before fixed costs can be reduced. " She goes on to say, " Some states provide "declining enrollment relief” by letting shrinking districts use a three-year rolling average for state aid purposes." That seems like a sensible approach, but she failed to offer an evaluation of how well it works out. I have been unable to find good information on the cost structure of schools, but my impression is that eighty percent of costs are variable, but variable in steps. (It takes the same number of Math teachers to teach a class of ten as it does a class of 25.) And can fixed costs be significantly reduced in three years? How far can they be reduced? She says, "Earlier this year, the State of Michigan threatened to close nearly 40 schools across the state for low performance. " and goes on to cite a host of difficulties entailed by closing a school. And there is no doubt there are significant negative consequences involved, but they are one time costs, and the neighborhood will eventually adapt, but a bad school will fail generations of students. And she completely fails to consider an alternative that would avoid nearly all of the problems associated with a school closing. If it is proposed to close a school, solicit bids from a charter school management company that has a record of providing a significantly higher quality education than the existing public school. There is no need to abandon the school building when you close the school. She goes on to say, " State leaders should take responsibility for their roles in creating a system where these schools were likely to fail, and they should now work closely with school and district leadership to invest in personnel, curriculum, facilities, and parent supports to ensure they succeed." Two reports about New York City's attempt to renew failed schools with her recommended investments concluded that the program had negligible results. At the author seems to see are the aggregation of numbers whether it be the percentage of groupings or the dollars spent. The author either ignores the reality that learning is an individual activity, if the individual does not have the interest to learn, the desire to learn then they will not learn not mater what classroom the set in, who sets next to them, how much money has been spent on the classroom or those in the classroom. And the title of the article shows the attitude of whom ever wrote it. Blame never changes anything it only makes people more defensive and emotionally more close to the facts. The facts about parents role is the don't have the needed knowledge or skills, the educational system is built on the idea of teacher efficiency not student learning, the student have lack of exposure to what learning entails, how to learn, and even why to learn or if the can learn. A simple test, how many time does a student hear they aren't learning because, as the author does, blame is on others, not enough spending, not the right mix of students, not the right data. They never hear about their role/responsibilities in the learning, even this 'learned' author doesn't include the student in her most important three point for learning/educational success. As long as it is adults to adults about what other adults should be doing and there is nothing about the students nor efforts to engage the students to find out what they need learning/education in many schools in Michigan will continue to decline. If you really want to change the learning performance is start with the students [in successful and in disappointing schools] asking them about what they understand about how to learn and what are the barriers to learning, then listen not just hear the words but engage them, treat them as the knowledgeable experts of their situations. The talk to students in all situations that have succeeded academically and ask the how and why, and listen. Ask them about the barriers they have faced and about how and why they overcame them. With all that information they look at each student as a unique person and work on how to help the students to develop a plan for learning. The reality is that learning is about desire and persistence, even in spite of situations. If you doubt this ask yourself why in neighborhood schools there is a stratification of learning, why do some students learn and are very successful, why do some students fail to learn and fail in school, and why is there a spread of academic success in between? The reality is that they are all getting the same instruction, they are all in similar socio-economic situations, so the only difference is the individual student and what they are willing to do to learn. The author is concerned about how far students may have to travel to school if the nearest one closes, too bad she hasn't heard how far students in northern Michigan have been traveling for generation because there were so few students that they had no neighborhood schools. The divergence in learning is driven by the student, not by the structures, not by the teachers, and certainly not by the administrators. For me is had to do with how much effort I put into learn, for my wife and daughters it had to do with how much effort they put into learning, and I suspect that even the author academic success relative to her childhood peers had to do more with what effort she put into learning than all the point she is promoting here. You were fortunate with the quality of teachers you had. Do you recall if in those class with the great teachers if everyone was as knowledgeable about the subject they were teaching, did you know as much about the subject as those who studied more than you did and were there those who knew less than you did? Did everyone succeed academically [all A's] in the classes when you had the 'great' teachers or were there those who were at the top [A's and such], those at the bottom [D's and worse] and most in between? When you were taking tests [presumably for the teacher to evaluate how much students were learning] on those subjects did everyone score the same, if there was a difference in the scores did those with the higher scores study more? My experience was that we knew who would do well, be at the top and most knowledgeable about the topic in class, they were the ones who did the most studying. My K-12 experience was average, 2.02, I did not study. There were one or two exceptions when the subject interested me and I studied. I am with you, not a genius, my parents were not well educated [my Dad 8th grade, my Mother did get her GED until she was 60]. I grew up in 'the government projects' on the wrong side of the 'river'. I went on to college in spite of my high school counselor discouragement ['Don't waste your time or you parents money going to college'], I tried and struggled and did not learn how to study until after getting married and having my wife teach me and she showed me how it was about discipline to study [an interest in learning determines that discipline]. I took some classes that I could relate to, that got me interested and then I studied and succeeded, I learned and earned my degree. Without studying and being persistent I would not have learned. It is what I observed in 4th-12th grades and in college that I saw others and myself learn because of how much effort put into studying. We instilled this into our daughters, they studied and learned. On a personal note; you are the exception or you are much smarter than you are willing to accept because every one I have ever met worked hard to learn, and even at your age and those with degrees. I had a boss who worked in a chemical plant and got interested starting college in his mid 20's, ten years [he was married and with a couple of kids] later earned his chemical engineering degree and worked as an engineer in a global chemical company, he described the struggle and how much studying he had to do learn the subjects. I have always wondered if the Michigan state employee or teachers pension fund takes into account the age at which a person retires. I know that most private pension funds for non-union employees take this factor into account and it makes a huge difference in the pension payout. One can retire 10 years younger than the normal retirement age, but only receive about 60% of what they would have obtained if they waited until normal retirement age (66 plus as defined by Social Security), and likewise receive slightly more if they worked beyond normal retirement age. OK setting aside the impact of parent(s) question, what are the factors for the children from these low performing schools that actually do succeed? This would be a much more interesting subject than what was covered in this article. This should be much easier to undertake, as with most things there are a million way to screw something up but relative few leading to success and few subjects to look at! system or the individual students. What criteria would you consider a credible need, would it only be the space available or should it include quality of learning. Should parents be force to send their children to a school simply because the is an empty seat in the school? Shouldn't parents be allowed to send their children to a school that has a learning environment, where the students want to learn, that the students support each others learning, congratulate each other success, set expectations for themselves of academic success or because a there is an empty seat they should be force to attend a school where the students don't want to be in school, aren't studying, don't even have the expectation of graduating, and aren't encouraging and maybe discouraging each other from having academic success? Cadillac schools are asking voters for hundreds of dollars to pay for a bond proposal, to repair or replace run down buildings. Poor management and ghost accounting should not be rewarded. Other options, such as selling excess properties and soliciting bids for repair, paid for with fund raisers. While the author makes some good points, she also ignores some equally powerful factors. The greatest factor that has contributed to the decline of Michigan's schools has been the shift of primary control of policy from elected boards of education (including the state board) to a state legislature that has had a distrust and even antipathy towards public education and teachers. This centralization of control has been made more powerful by Proposal A's shift of funding control from local voters to the state. A good example of this malevolent effect was the transfer of the responsibility for funding teachers' pensions from the state to local districts, drastically increasing the burdens on districts' budgets. We could also get rid of "for profit" charters AND make charters have exactly the same requirements and oversite as real public schools.